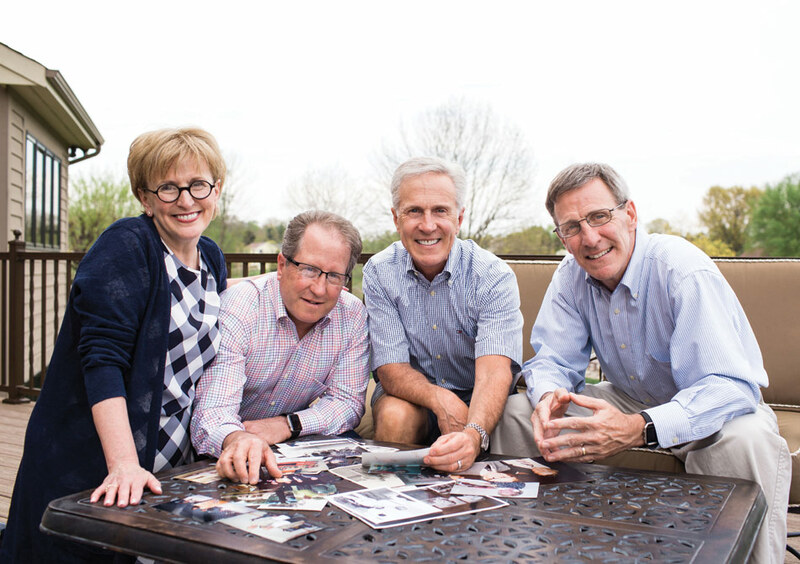 The Dickey family knows firsthand what a blessing Margaret Mary’s hospice program can be when a loved one is dying. Last summer, this close-knit family called on hospice to help provide care for not one, but both of their parents. Hospice care is designed for people who are nearing the end of life. Unlike other medical care, the focus of hospice isn’t to cure patients, but instead to control their pain, make them comfortable and ensure the highest quality of life for whatever time remains. Hospice care can be provided in homes, hospitals, nursing homes or assisted living facilities. Not only can hospice care help patients live more comfortably, it can also decrease the physical and emotional burden on families. On May 22, Donald Sr. passed away with his family by his side. On June 2, just seven days after his funeral, his wife of 67 years, Cathryn, passed away as well.